Now that Thanksgiving is behind us, the next few weeks online and in stores will be devoted to sales, special offers, and holiday events including Black Friday, Cyber Monday, and #givingTuesday. 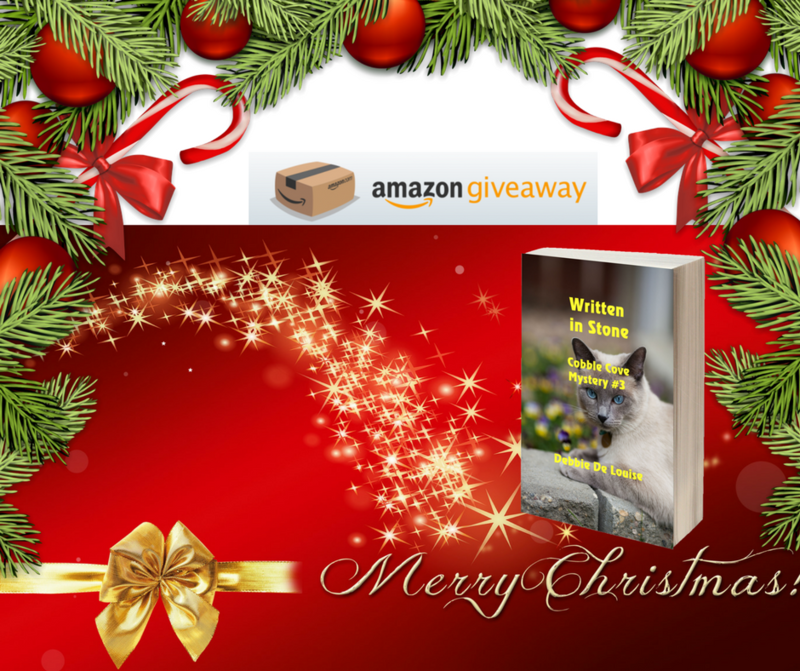 Authors such as myself seek to make their books appealing as gifts and to attract readers by sponsoring giveaways and other special holiday deals. 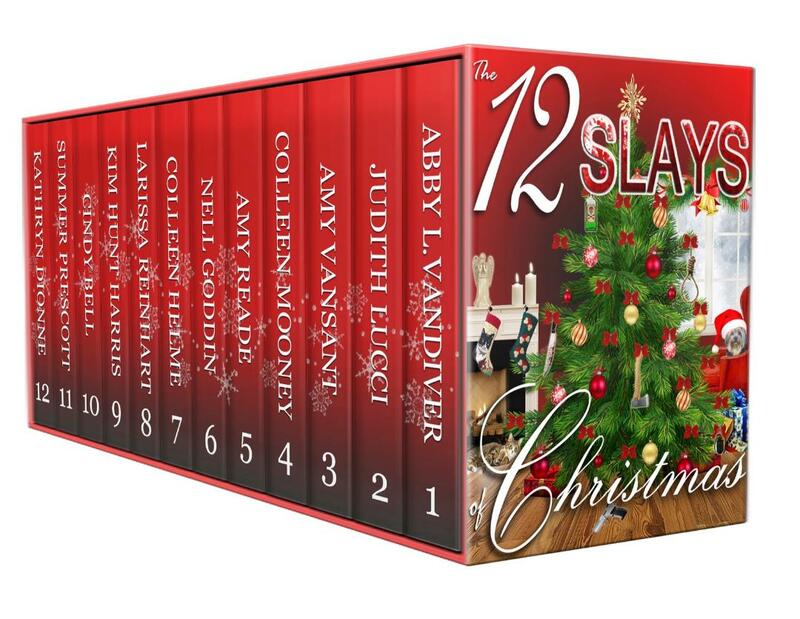 This week I am hosting an Amazon giveaway, a 99 cent deal on each book of my Cobble Cove mystery series, and a Facebook holiday party with 12 other authors at which books and other gifts will be won by guests. I am also taking over at another Facebook party where I’ll be offering some additional prizes. Read on for all my specials. Alicia McKinney is confused . . . .
Was the strange email her husband received from the fictional detective in their mystery series a threat? Did the killer mistake the woman shot in the library for Alicia or the victim’s twin sister? Cat vs. Dog . . .
After Sneaky goes missing from the library, will he turn up before a young girl becomes ill with worry over his disappearance? And will he return in time to outsmart Fido by being first to find the perpetrator’s smoking gun? Alicia is worried . . . While waiting for the killer’s next move, Alicia has other concerns. An old flame of John’s is in town and her friend, Gilly, has adopted the role of Miss Marple to aid her sheriff boyfriend in his investigation. When all clues point to one of her co-workers, Alicia joins Gilly in searching for the answers to the mystery. Will they survive . . . .
or is their ending written in stone? 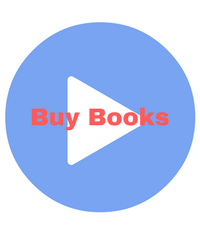 I am offering all 3 ebooks of my Cobble Cove mystery series for 99 cents each (Less than $3 for all 3). Offer good only on December 1, 2, and 3. 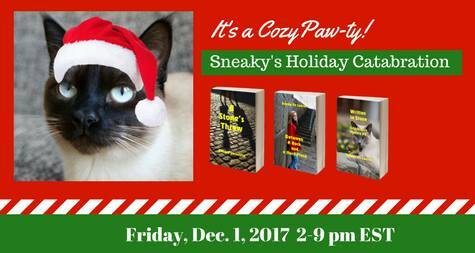 On Friday, December 1, my character cat, Sneaky and I along with 12 other authors are hosting a Cozy Holiday Paw-ty on Facebook from 2 to 9 pm EST. For information and to RSVP, visit this link: https://www.facebook.com/events/937992293019499/. I hope you all enjoy the holiday season and take advantage of my special offers. Thank you for your interest in my books. I am busy working on several new titles for the New Year. Thank you. 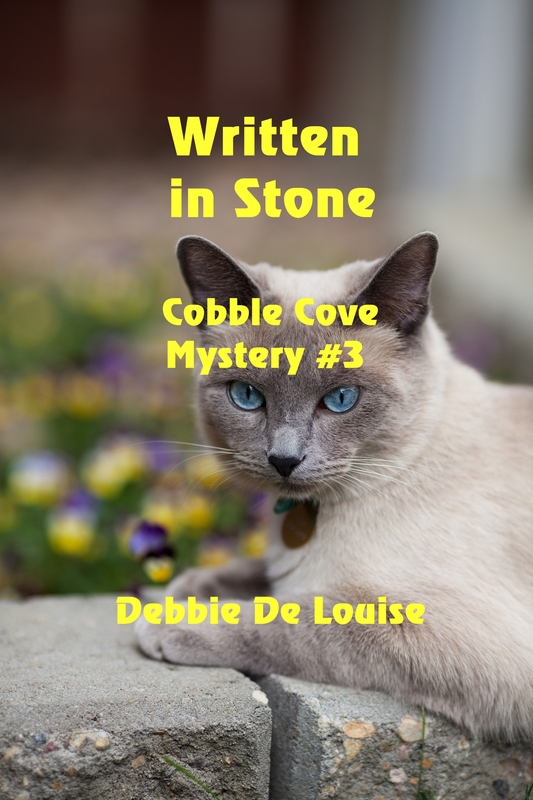 I’ll be getting your third Cobble Cove mystery on Friday. And of course I shared. Thank you, Edie. I hope you enjoy it, and thanks for the shares. I appreciate them.